"The Chernobyl exclusion zone was an incredible place and the Chernobyl.welcome tour group was very accommodating and engaging whilst leading us across the exclusion zone." YOUR CHERNOBYL VISIT IS MAKING A DIFFERENCE! 1% of the tour price goes directly to support the Chernobyl Babushkas. Together with you we provide them medicaments, groceries and help them around the house. For every Tripadvisor review we plant a tree in the Chernobyl zone. Together we are helping the zone to recover. 5% of all profit goes to support children suffering from cancer via DOBRY ANJEL. Thank you! READY FOR THE TRIP OF YOUR LIFETIME? CHERNOBYLwel.come is an official and certified organiser of professional Chernobyl Tours to visit the Chernobyl area in Ukraine. We specialise in Chernobyl trips and tours; with an outstanding, all-inclusive programme, with the best photography locations and a real adventurous experience using historical photographs, artefacts and clothing, as well as modern technology (e.g. Drones, VR). Are you looking for a professional guide and maximum safety measures for your ultimate Chernobyl experience at a reasonable price? Then pick one of our genuine Chernobyl private tours, Retro Chernobyl tours, in-depth Chernobyl power plant and Pripyat tours, unique 2 day tours with accommodation in Chernobyl. With CHERNOBYLwel.come you will safely travel in time to the Cold war era and the Soviet Union. Over 10 thousand of not ‘just’ satisfied, but more than delighted customers during our 10 years of operation, are our fuel for continually improving our Chernobyl tours. Join them and become a part of our history! Years after the Chernobyl disaster, it is now easy and safe to take tours of 1986 Soviet Ukraine, visiting Pripyat and the exclusion zone surrounding the Chernobyl power station. See how nature has taken over and overruled the exclusion zone and experience this amazing place for yourself. Our Chernobyl tour with a communist atmosphere takes you back to 1986 when Lenin was an icon and Chernobyl and Pripyat were state-of-the-art Soviet cities. This one day tour will show you the VERY BEST of the Chernobyl zone, Pripyat, and the Duga radar facility in the shortest possible time. 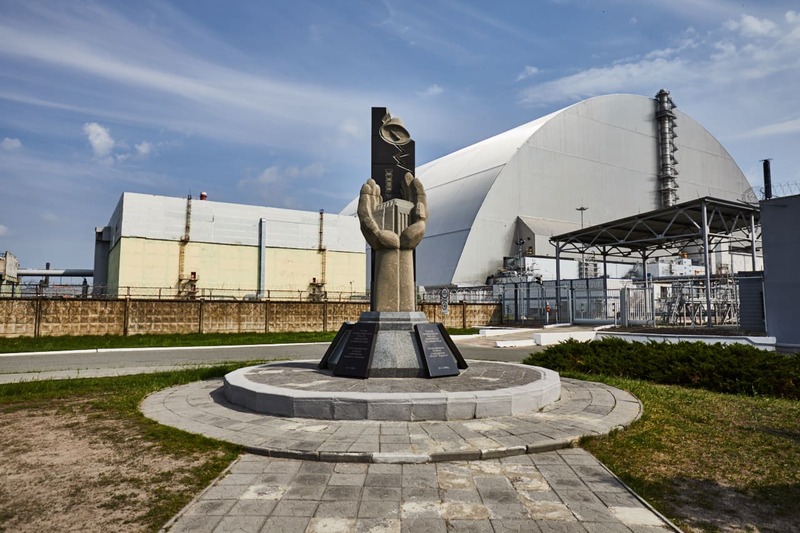 With 1-day Chernobyl Tours you’ll experience the perfect balance of in-depth information on the Chernobyl accident and evacuation and an adventure that will be forever be imprinted in your memory. All this is included: friendly guide, permits, meals, dosimeters, maps, postcards and MORE. 2 day tours are designed for the best, most in depth, Pripyat experience for those who love urban exploring and want to see the Chernobyl Nuclear Power Plant from the inside. This extraordinary tour includes an overnight stay in the city of Slavutych (the newly built city for the ex-inhabitants of Pripyat) and takes you through the moments before, during and after the Chernobyl disaster so you see it as a Soviet citizen did. Seeing the districts and what has happened to the state-of-the-art Soviet city of Pripyat, visiting places that were or still are in use, even after the evacuation such as the greenhouses, laundry, swimming pool, garages or the secret military Jupiter factory. It is the only group tour that allows you also to explore the power plant that changed the history of mankind from the inside: the control room of reactor number 2, underground control centre, hydraulic pump system of reactor 3, the new sarcophagus and much more with maximum safety measures! On some of the Chernobyl Power Plant and Pripyat Tours you will be accompanied by the former deputy-mayor of Pripyat Alexandr Esaulov and hear first-hand stories about his life in the city before the Chernobyl accident. Concentrating the Chernobyl tour on exactly what you want to see without any other adventurers whilst moving at your own pace are the benefits of a private Chernobyl Tour. You can tailor your visit to focus on whichever part of Chernobyl is most important to you, visiting only Pripyat and seeing a more in-depth view of the abandoned city is made easier, and the pictures become truly breath taking. If venturing further into the Chernobyl exclusion zone or Chernobyl wildlife spotting is more your thing, we can easily custom make a tour for whatever requirements you have. Private Chernobyl tours designed mostly for small groups, professional photographers, TV crews, and company teambuilding are now just one click away from you. The trip of your lifetime starts in Kiev, Ukraine, usually at 8 AM (ends around 8-9 PM). From pick up to drop off, everything on the tour is taken care of, an effortless tour of history and nature from the experts who adore what they do. And they are thrilled to show the hidden beauties of the Chernobyl zone to every new visitor. No need to pay any booking or cancellation fees.